How long has it been since you thought about your NYSLRS beneficiaries? A year, two years, five? Did you get married since then? Get divorced? Have a child? 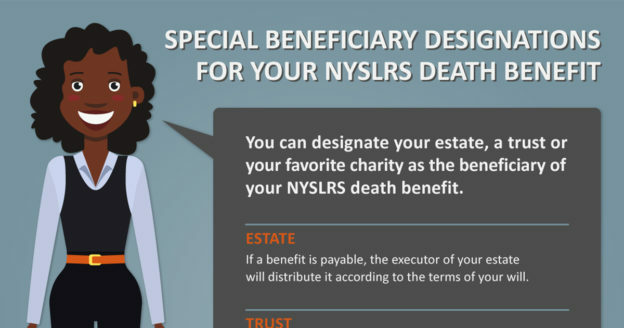 When you die, your NYSLRS death benefit will be paid to the last beneficiaries you designated. That’s the law. 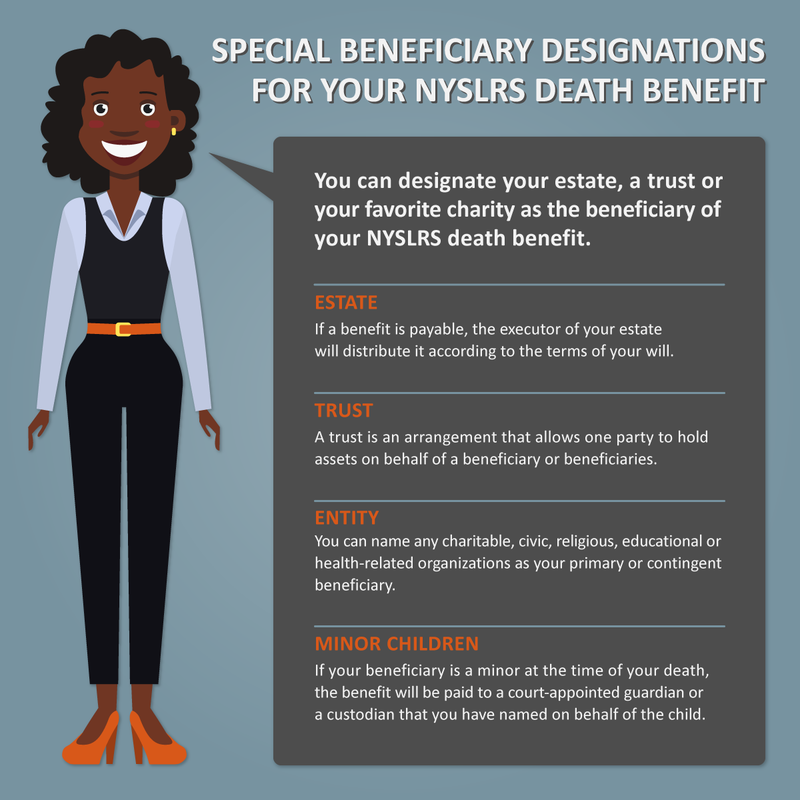 That’s why it’s so important that you check your NYSLRS beneficiary designations periodically. Luckily, it’s easier to do than ever. The new Retirement Online is a convenient way to review account details and conduct business with NYSLRS in real time. Now, instead of sending a form through the mail, you can simply sign in to Retirement Online to view your designations and submit changes instantly. Register and sign in to Retirement Online today to update your beneficiaries and access a variety of other time-saving features. A primary beneficiary receives your death benefit. 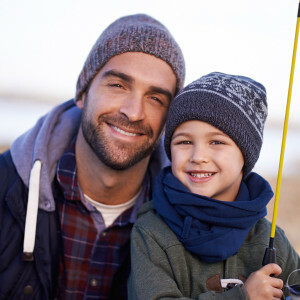 If you name more than one primary beneficiary, they will split the benefit equally. A contingent beneficiary receives a benefit only if all your primary beneficiaries are deceased when you die. When you die, your estate is all the money and property you owned. If you make your estate a beneficiary, the executor of your estate will distribute your benefit according to your will. If you outlive both your primary and contingent beneficiaries, your benefit will go to your estate by default. You can name a charitable, civic, religious, educational or other kind of organization as a beneficiary too. 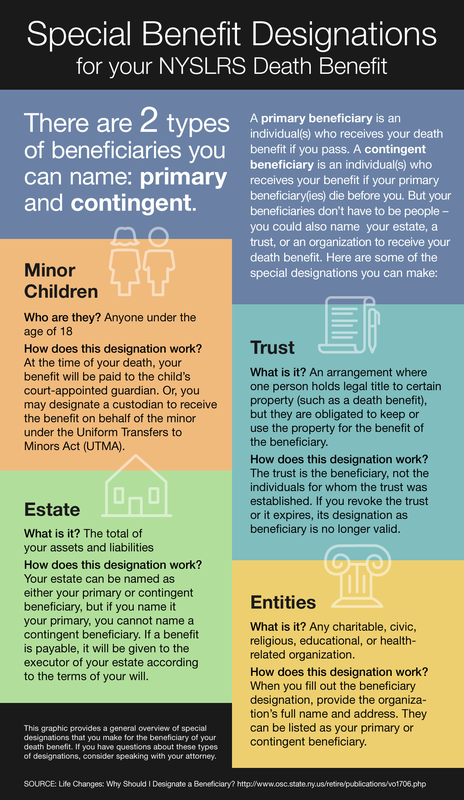 For more information about beneficiaries, check out our booklet, Why Should I Designate a Beneficiary? (VO1706). Content last revised November 15, 2017. This entry was posted in Members, Retirees and tagged beneficiary, benefits, contingent beneficiaries, defined benefit plan, entities, ERS, estates, Information is the Key, know your benefits, members, minor trust, New York State & Local Retirement System, NYSLRS, PFRS, primary beneficiaries, Retirement Online, special, trust on November 15, 2017 by NYSLRS.